Nobody’s Boyscout is a true case of musical serendipity. They are proof-positive that the incestuous Providence music scene provides consistent opportunities for musicians to experiment and collaborate with like-minded (as well as not-so-like-minded) artists. Okay, “raucously screamed” doesn’t really describe the way that Sean Murphy normally expresses himself. Nobody’s Boyscout is made up of the aforementioned Sean, Nic “Supe” Hallenbeck on bass, Adam Carroll on lead guitar, Natalie Perry on piano and Matt “Purple Monkey” Brown as a vocalist, drummer and percussionist. I say we all start hash-tagging #purpmonk with any mentions of Nobody’s Boyscout on social media. Nobody’s Boyscout is throwing a CD release party at The Parlour in Providence on January 20 for their debut LP, In Tongues. I spoke with Sean, who I’ve known for about a decade, about the release. Sean reminds of a young wizard. When I wanted to put a solid investment into a new guitar amp and distortion pedal for my punk band, I sat down with Sean Murphy for hours as he showed me amp after amp and we experimented with pedal upon pedal. When I work as a film editor, Sean is the first person I go to with technical questions. Long story short — when I need help with the technical side of art, Sean is my go-to guy. I listened to In Tongues. It feels full of melancholy hope. I think the best way to describe it is that the album feels like the feeling you get when you’re 60% of the way through a really good indie movie where you see the protagonists falling in love, but you don’t know if they’re going to end up together. They’re driving through the desert and exchanging knowing glances with each other as the sun comes up, but the journey ahead is unknown. But right now, the joy is simmering and the comfort is palpable. They’ve both lived enough life to know not to trust when things are going so well, but they want to believe that things can go right this time. As you watch them, you hope they decide to believe that things can go right this time. That’s how the album felt to me. 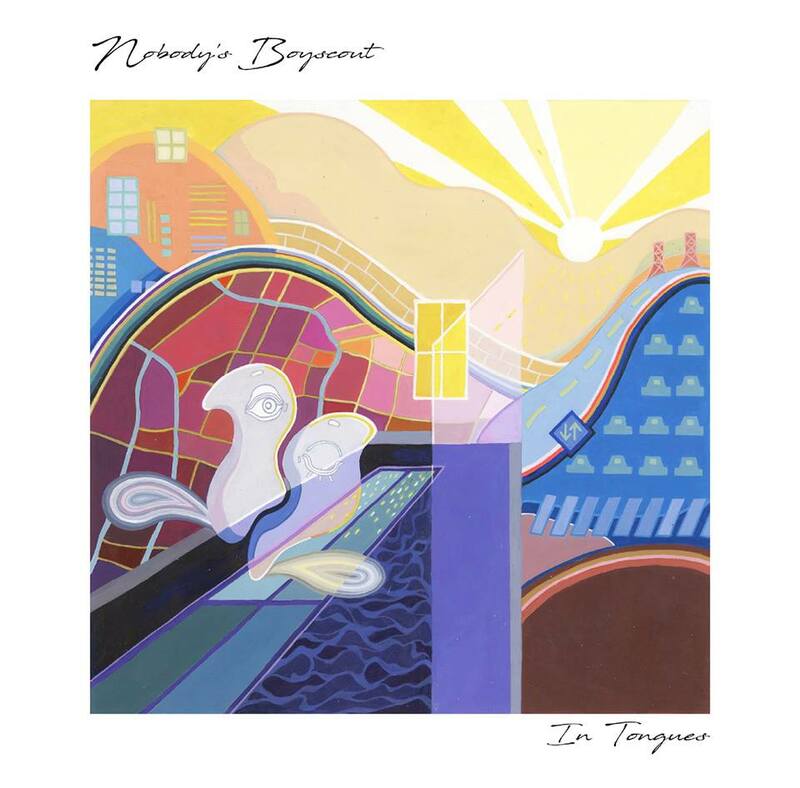 Now that you’ve experienced the weirdest album description you’ve ever read, go pick up In Tongues January 20 at The Parlour to see if you feel the same, and check out the true collaborative artistry of Nobody’s Boyscout.